As you will have full control over your trip’s timing and plan, hire a taxi for your trip is a good idea to ensure the most satisfaction and safety. It would be very dangerous, even the locals would not choose to do this, so, do not rent a motorbike and ride to Cu Chi tunnels by yourself. If you want to travel by taxi, look inside the taxi to make sure that it is odor-free and clean, find a taxi driver, the night before your trip. Negotiate the price for your trip. Most of the time, without the additional waiting fee while you are discovering the tunnels and the driver has to wait for you, a round trip should cost you VND800,000 (approximately US$40). 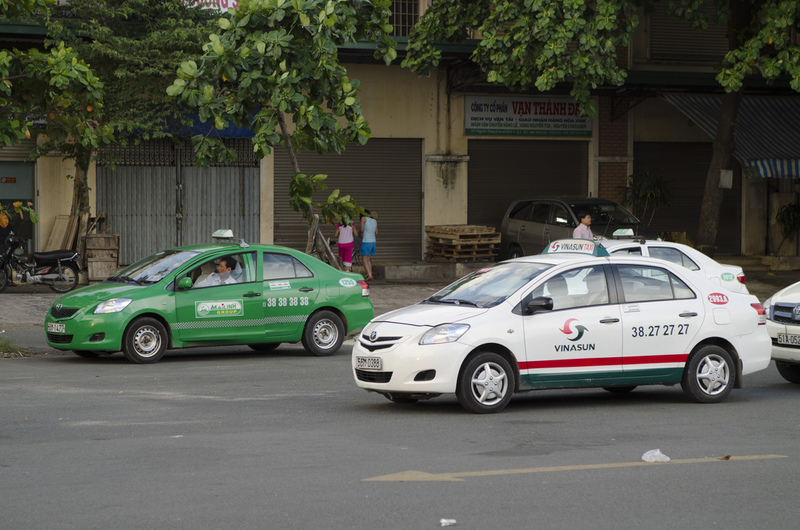 Alternatively, you can take 2 different cabs, one on your way to Cu Chi Tunnels and another on your way back, which may cost you the same rate, however, you will have to face the risk of having to sit in a taxi without good conditions. Paying by the meter is another option, it is completely up to you. 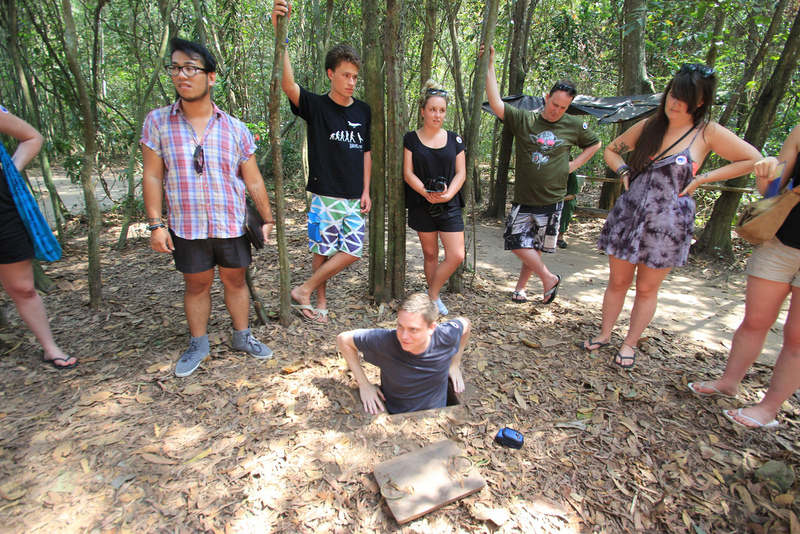 It is pretty simple and inexpensive to book a tour to the Cu Chi Tunnels. A half-day tour for 100,000 VND (about $4.34USD) may be the lowest price you can find. Note that the tunnel entrance fee of 90,000 VND ($4USD) is not included in the price. 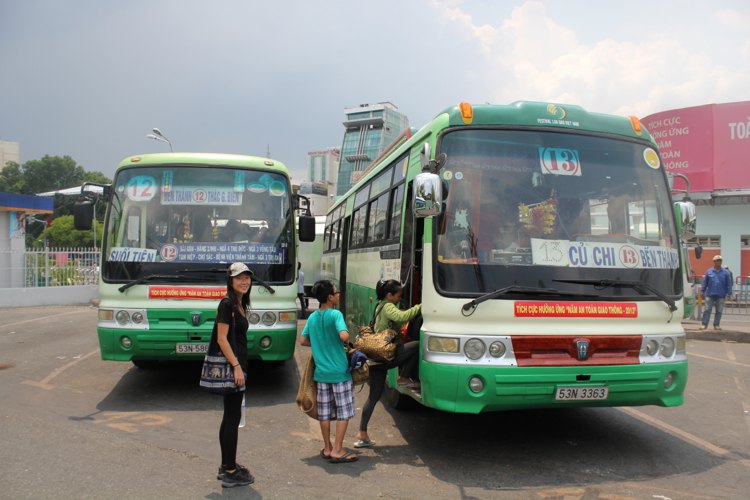 If joining in the half-day tour, you will be picked up at 8:00 am to go to the tunnels and then around 2:00 pm, you will return to Ho Chi Minh City. You can opt to be dropped off at the War Remnants Museum or at the travel agency storefront, where you will have to find your own way onward. It is not too much of an inconvenience as the War Remnants Museum is not too far from the city core. Taking the local busses is another option is to do the trip yourself. 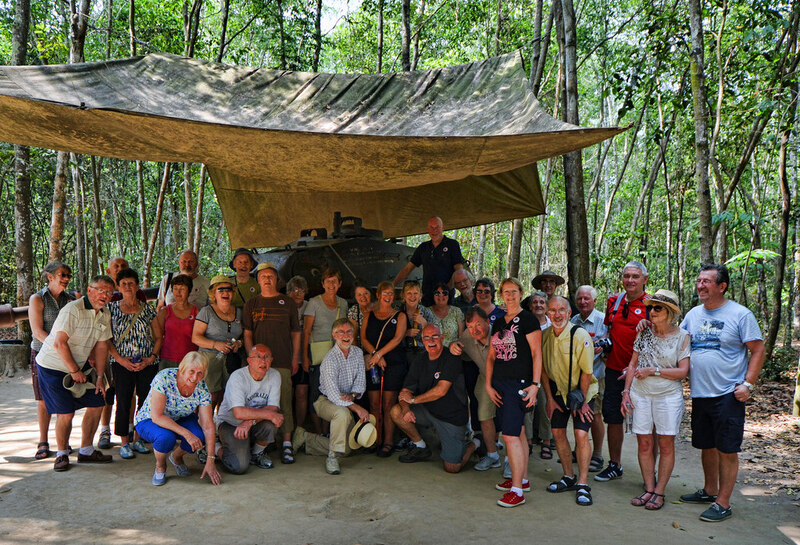 If you want to check out the public busses and to go to the Ben Duoc tunnels, while most (or all) tour companies available generally take you to the Ben Dinh tunnels, this option is for you. The tunnel sections at Ben Dinh were never part of the real tunnel network and were specifically created for tourists, partially since almost tourists are built slightly larger than the average Vietnamese person, is the difference between Ben Dinh and Ben Duoc. Further out from Ho Chi Minh City compared to Ben Dinh, Ben Duoc is where all the Vietnamese locals go. 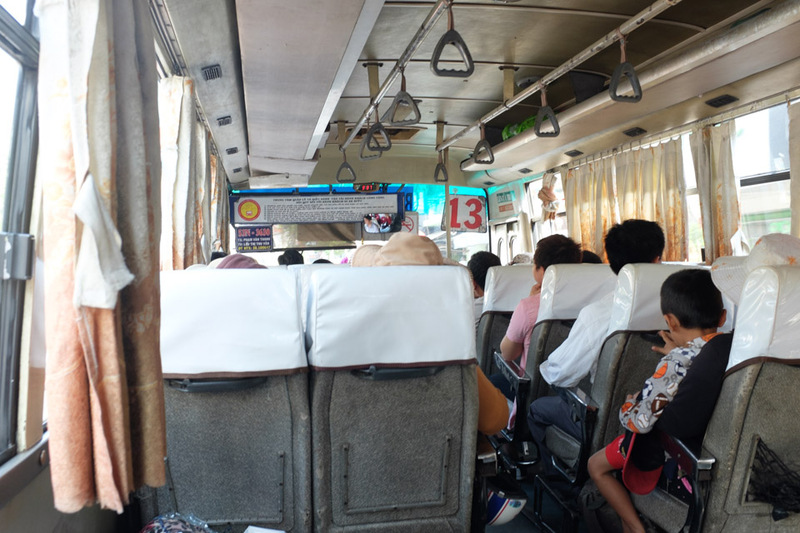 Go to Ben Thanh bus station, which is opposite the Ben Thanh market to take the local busses for a total of 26,000 VND ($1.13USD)/person round trip. The fare will be 7,000 VND ($0.3USD) / person. A ticket agent will come around and sell tickets to everyone after they get on the bus and take a seat. You do not need to worry too much about having exact change as he/she will have a stack of change.